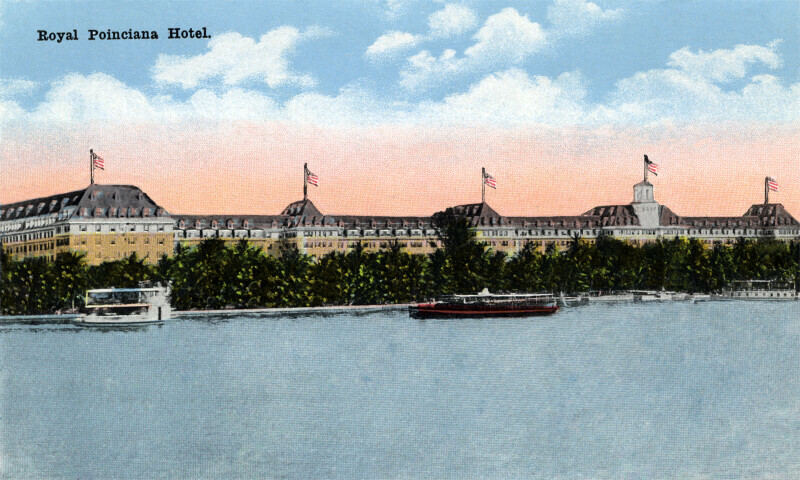 The Royal Poinciana Hotel is one the most commonly pictured buildings in Palm Beach postcards, from the early 20th century. Here, the lower stories of the building are obscured by palm trees, and the uppers stories were blurred by the coloration process. There are five American flags flying from poles, on the roof. The hotel sits on the shores of Lake Worth, and boats can be seen on the water.